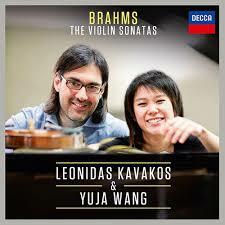 Last year, Greek violinist Leonidas Kavakos recorded the Brahms Violin Concerto. 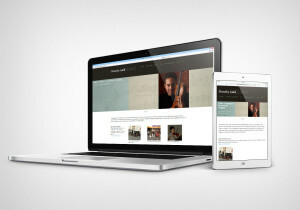 On March 31, Kavakos and pianist Yuja Wang followed up with a new recording of the three Violin Sonatas by Johannes Brahms. Here is an excerpt of Kavakos playing the stormy Sonata No. 3 in D minor, Op. 108. This CD is another exciting addition to an already vast collection of classic and recent recordings of this music, including performances by Stefan Jackiw, Anne-Sophie Mutter, Josef Suk and Arthur Grumiaux. I also highly recommend a lesser- known gem: the 1996 recording of Oleh Krysa and Tatiana Tchekina. Let’s listen to Brahms’s Violin Sonata No. 1 in G major, Op. 78, played by Itzhak Perlman and pianist Vladimir Ashkenazy. Brahms wrote this sonata for a friend, violinist Joseph Joachim, who also received the Violin Concerto dedication. It was composed in the southern Austrian resort town of Pörtschach am Wörthersee during the summers of 1878 and 1879. The last movement grew out of Brahms’s earlier song, Regenlied (“Rain Song”) from 8 Lieder and Songs, Op. 59. Take a moment and listen to the song and read the text. Do the repeated notes in the piano suggest gently falling raindrops? In an earlier post we heard how skillfully Brahms develops small and seemingly insignificant musical cells. There is a similar sense of development as this sonata unfolds. 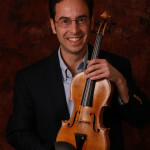 Listen for common motives and themes which run throughout the three movements, unifying the piece. The first movement is in 6/4 time. Pay attention to the way the music is flowing. Does Brahms occasionally play rhythmic games which make you lose track of the downbeat? The second theme of the Adagio is a solemn funeral march (12:44). Consider how this theme contrasts with what came before. One of my favorite moments is when the theme suddenly slips into major when it returns at 16:44. In the opening of the final movement, notice the dotted rhythm motive from the first movement, first repeated in the bass and then in the higher voices of the piano. Following the quiet agitation of the final movement, were you expecting such a peaceful conclusion in the coda (25:23)? In the Listeners’ Club, your voice is important. In the thread below, tell us what you heard in the music. Which recording of the Brahms sonatas is your favorite and why? Many thanks for keeping in touch–I have benefited a lot from your postings. You have a great career and have my every admiration.